Happy about Trump’s low approval ratings? Not so fast. President Trump, during a meeting with Vice Premier Liu He of China, at White House, Jan. 31. In the last month, Democrats have a new sense of optimism. President Trump’s approval ratings are at an all-time low, with just 32 percent of Americans viewing him favorably. 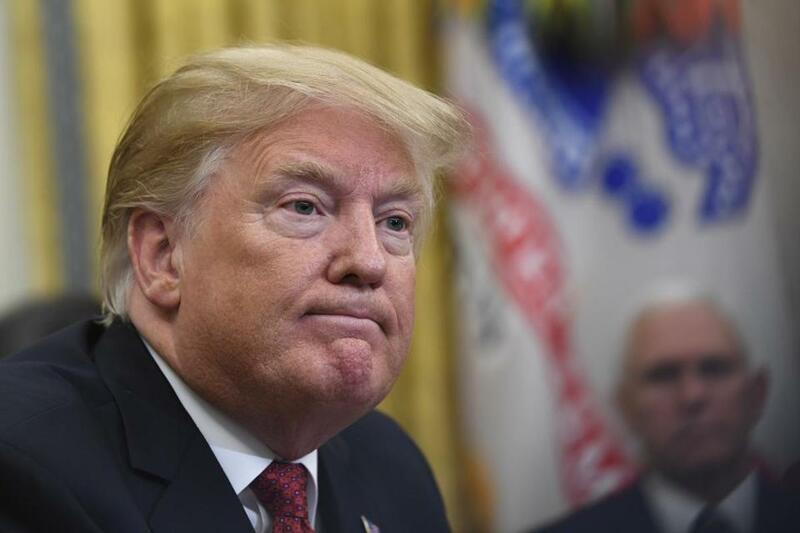 The government shutdown, the lack of progress on major issues like health care and infrastructure, and his most recent tweets about his intelligence team have doubtless contributed to the slump. So things look pretty grim for Trump in 2020, right? Maybe not. According to my panel of 500 voters, disillusionment with Trump doesn’t necessarily translate into votes for the Democratic nominee. Chet, for example, admits he might vote for Trump again in 2020. Right now, he looks at the Democratic field and sees mostly candidates who he perceives are from the extreme left. Despite how he feels about our president, he tells me that he is still a Republican, in favor of smaller government, fewer regulations, and hard work. “I can’t see myself voting for free health care, free college, and free rides, and that would make me run from most of the new faces,” he says. As I speak weekly to my group of voters, I am struck by how many Republicans are dissatisfied with Trump. On the other hand, just being unhappy doesn’t mean they are abandoning him completely. The 2020 elections are a long way away, but it’s urgent for the Democratic Party to formulate its message about what it stands for. Focusing on a more leftist agenda will require energizing millions of new voters in red and purple states. A platform built on big tax increases, expanded government programs, and political correctness might energize primary voters but flounder in the general election. Alternatively, the party could move more to the center to engage with moderate voters who are sick of Trump but who will vote for him rather than vote for a Democrat they believe is too radical. What’s clear is that when someone says, “I don’t approve of Trump,” that doesn’t mean he or she will suddenly run to the alternative. Instead, as in 2016, voters are ready to hold their noses, reject a nobly fought Democratic campaign, and move Laura’s countdown clock back to another 1,400 days. Diane Hessan is an entrepreneur, author, and chair of C Space. She has been in conversation with 500 voters across the political spectrum weekly since December 2016. Follow her on Twitter @DianeHessan.